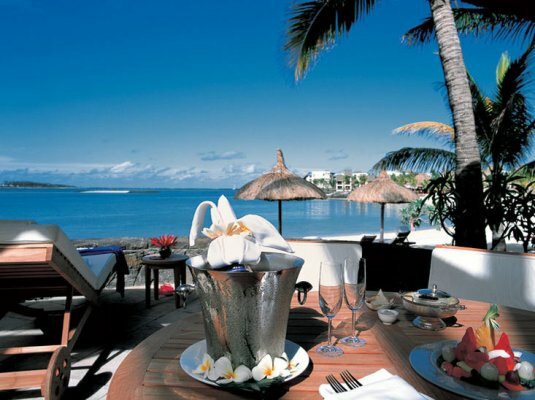 Le Touessrok is one of the world’s great resorts –the height of cool, modern elegance, imbued with the warmth of tropical Mauritius, truly one of the “Leading Hotels of the World”. It lies on a beautiful stretch of sandy coast, looking out over tranquil Trou d’Eau Douce Bay. Out in the lagoon are two beautiful islands, including Ile aux Cerfs with its spectacular 18-hole championship golf course, designed by Bernhard Langer. This is 5-star luxury at its best, the perfect holiday setting for couples and families, with a fabulous range of facilities, including an extensive range of watersports and land-based activities, 5 restaurants, a renowned Givenchy spa and personal butler service. 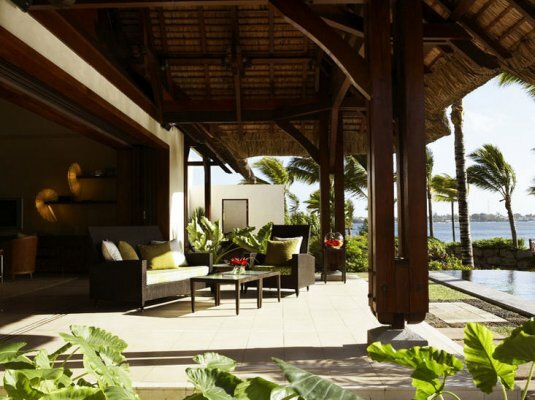 The Resort also features three spectacular waterfront Villas, which have redefined the benchmark for luxury in Mauritius. Opened in May 2005, Le Touessrok Villas offer ultra-exclusive and spacious accommodation, using the latest technology to meet the high expectations of the most discerning guests. Treatment rituals are bissfully effective and pleasurable with techniques created by Givenchy. The Swisscare products by Group LVMH Laboratories have been developed specifically for Givenchy. A wide array of land activities are available at the resort for a fun and active holiday. The Tennis Club has four floodlit courts. Special excursions can be arranged further afield, to include nature trails, deer stalking and cycling. The Fitness Centre is in the same building as the Givenchy Spa on the mainland overlooking the Frangipani heated lap pool. It provides sophisticated personal training, stretching sessions, programmes for swimming, aquatic exercise, tennis and golf. A jogging partner is also available on request. Use of equipment is free of charge, with a fee for personal trainer services. Open daily (7am to 8pm). Le Touessrok’s water sports centre and boathouse are on Ile aux Cerfs, a 10-minute boat ride from the mainland. Complimentary Facilities include canoes, kayaks, laser sailing dinghies, sailing boats, pedal boats, glass-bottom boat trips, snorkelling, unlimited water-skiing and windsurfing. The resort’s beaches are perfect for leisure and relaxation. Swimming and snorkelling off the beaches in the calm, clear waters of the lagoon is a memorable experience. Le Touessrok offers a meet-and-greet service for all groups on arrival at the resort. Delegates are warmly welcomed by colourful, Mauritian Sega dancers and a refreshing cocktail. Private group check-in areas are available, either under the shade of the palm trees or in a private air-conditioned venue. A group director takes personal responsibility for the organisation and follow-up of specific services required. A group hospitality desk is available for the duration of your stay. Personalised welcome letters, room drops, on-screen welcome notes and daily itineraries can all be arranged. A business centre is also available for tour leaders. A large selection of high-quality gifts are available, which can be personalised with a logo or wording of your choice. These range from island rum, local spices, books and T-shirts to fruit baskets, flowers and champagne. Our dedicated Wedding and Events Consultant has all the experience and imagination required to handle every small detail while helping to bring the right themes to create that once-in-a-lifetime experience. Private rooms are perfectly prepared for couples or larger parties – a most romantic dinner for two or a wedding feast for a hundred. Dinner may be served on one of the resort’s private islands, by the pool, on the seashore, or in a Villa with a butler on hand. Bars and restaurants are renowned for their delectable character and charm. Our villas and suites are beautiful, relaxed and spacious. Every need is understood and indulged, with sumptuous bathrooms and all the latest technologies. Le Touessrok is a special place for families. There is so much to do for younger members and plenty of opportunity for them to be occupied while parents relax. Accommodation occupancy is designed to be adaptable for children. Experienced babysitters are available. For all children from 4-11 years Le Touessrok has its marvellous ‘T-Club’. In its own large and well-equipped clubhouse, the club provides exciting and imaginative fun programmes and activities. Children can enjoy golf, tennis, windsurfing and swimming clinics. There are also excursions with a focus on educational enrichment. Dinnertime is always a special occasion with a wide selection of menus. Open daily, 10am-10pm..
Babysitters – available at extra charge – are required for children of 2 and 3 years at the ‘T-Club’, unless accompanied by a parent. There is also a special teen’s club, which is free to 12-17 year-olds. Youngsters can meet new friends from around the world in a safe and interesting environment and enjoy activities including sports, excursions, outings, discos and theme evenings. This is for the discerning few who want a level of service and luxury that was once only the province of royalty. With its classic colonial style of decor and furnishings, it is equally suited for entertaining in royal style or for a romantic dinner. Hibiscus Wing (320m² incl. balcony/terrace). Maximum occupancy :2 extra children up to 12 years or 1 adolescent up to 18 years. 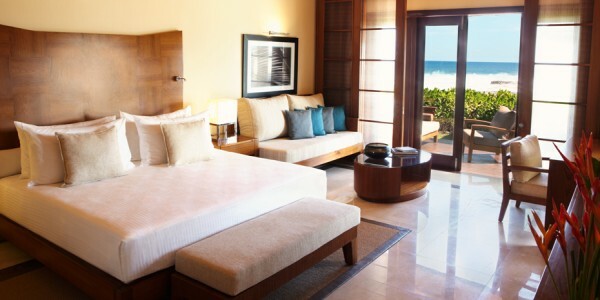 Ocean Suites have a cool and contemporary feel. 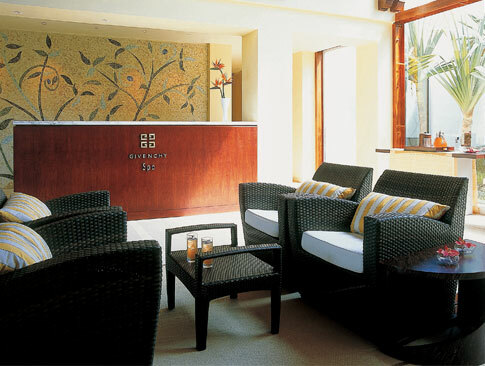 They are spacious and light and offer great luxury and privacy in the enchanting surroundings of the Frangipani Wing. 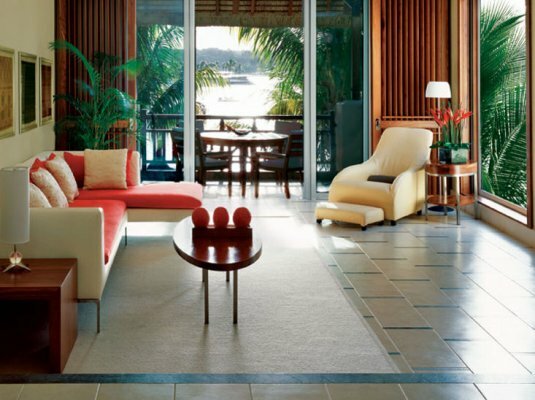 These suites are cool and contemporary with design features inspired by the tropics. Ocean views and large bay windows bring a changing light to the rooms as the day progresses. Maximum occupancy : Frangipani Junior Suite: Double Queen-size bed: 2 children up to 12 years sharing 1 Queen-size bed or 1 adolescent up to 18 years. Frangipani Junior Suite: King-size bed: 1 extra child up to 18 years. Hibiscus Junior Suite: Double Queen-size bed: 2 children up to 12 years sharing 1 Queen-size bed or 1 adolescent up to 18 years. 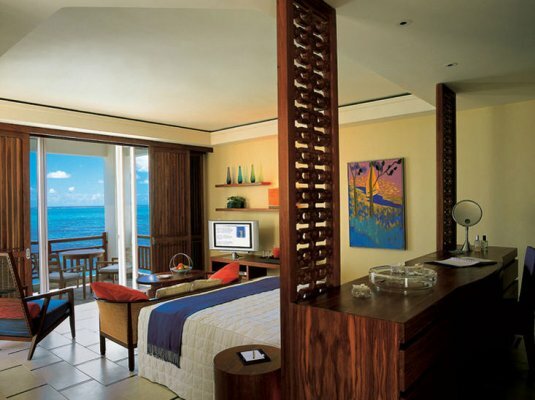 These have the latest in-room technology, contemporary furnishings, and expansive views of the Indian Ocean. They represent the more affordable level of luxury. 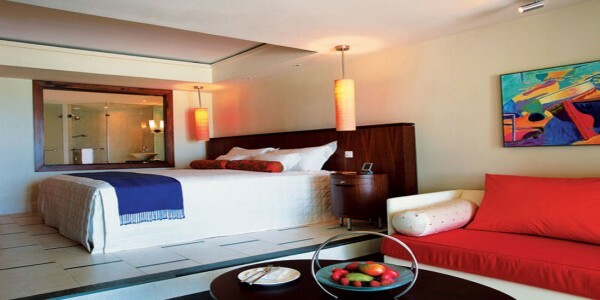 31 Deluxe Rooms, Coral Wing (54 m², incl. balcony/terrace). 37 Deluxe Rooms, Hibiscus Wing (56 m² incl. balcony/terrace). Maximum occupancy :Coral Deluxe Room: 2 extra children up to 12 years or 1 extra child between 13-18 years, on a pull-out couch. Hibiscus Deluxe Room: 1 extra child up to 18 years. 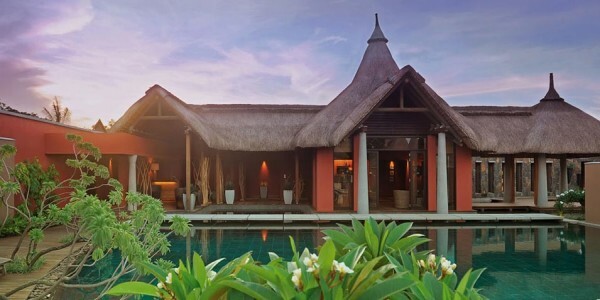 Here is supreme three-bedroom luxury, totally discreet with private swimming pools, gardens and separate entrances, designed and finished in cool, contemporary interpretations of Mauritian style. The living areas are light and relaxed, with high, vaulted wood ceilings, tall windows and terrace doors that lead out to the infinity pool and wonderful tropical vistas. 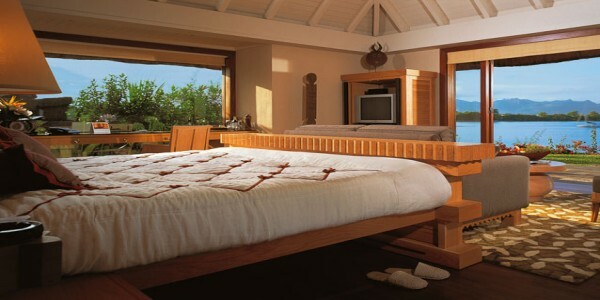 Each villa has two master king bedrooms, with a third queen bedroom behind. Bathrooms have sculptural stone bathtubs and lead out to private walled gardens with outdoor waterfall showers and daybeds. There is the very latest technology in-room multimedia entertainment systems, satellite television, DVD/CD player, internet/email access, hair dryer, mini bar, 24-hour room service, safe and in-room business services (multi-adaptor, fax/computer hook-up, modem, phone-jack and three-phone, two-line communication system). Delicious food suits every mood. There is a ‘gastronomic theatre’ serving nine different cuisines, classic tropical dining poolside, refined east-meets-west cuisine, and relaxed shoes-off eating on the resort islands. Light snacks and refreshing beverages are also served on the beach all day. Three-Nine-Eight includes a rotisserie & grill (inspired by Central European cuisine), a salad bar, an Asian noodle & wok workshop, a bakery and pastry shop, a coffee & tea bar, as well as a Mediterranean section with pasta boilers and an antipasti stall. Open for breakfast (7.30 to 10.30am) and dinner (7 to 10pm). Lunch and dinner revolve around a unique open kitchen featuring a glass-encased sushi counter, and a Japanese Robata grill alongside a European volcanic-rock grill. The light, refined contemporary cuisine combines the flavours of East and West. Open for lunch and dinner. Closed on Sunday evenings. The Bar is well known for its exceptional selection of Pure Malt Scotch Whiskies, as well as its impressive range of Single Barrel Bourbons. 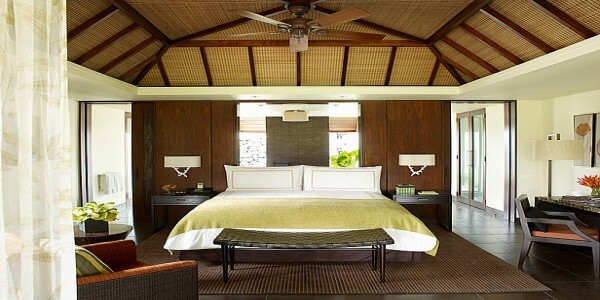 It also features Le Touessrok’s own home-made rums along with fine rums from around the world. With a relaxed welcome from the manager ‘Friday’, Crusoe’s offers wonderful locally caught same-day fresh fish, a salad bar and pizzas. On Sunday, the restaurant presents a sumptuous Mauritian outdoor buffet of spit-roasted lamb and chicken, Asian stir-fries, lagoon seafood and a tempting dessert counter, all accompanied by free flowing sparkling wine. Open daytime (10am to 4 pm). During a day of watersports or relaxing on the beaches of Ile aux Cerfs, lunch is provided at the relaxed, barefoot restaurant Paul & Virginie. In the evening this is perfect for a private or themed reception. The restaurant has its own dance floor, and the sandbank provides for entertainments and firework displays. Open lunch and afternoon (12.30pm to 5pm).